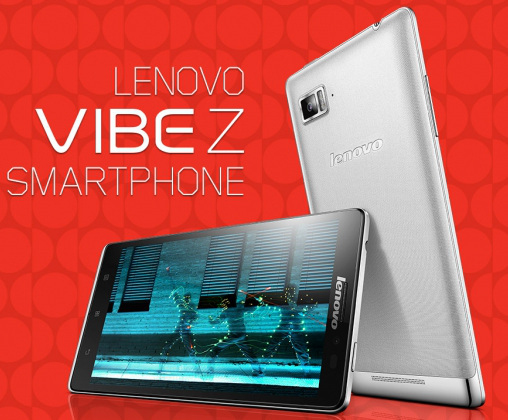 Lenovo has introduced a new flagship android smartphone, the Vibe Z (K910). The phone has 5.5 inch FHD display, Snapdragon 800 CPU and 2GB of RAM. To make the handset run there is Android 4.2.2 Jelly bean operating system and Adreno 330 GPU to make operations and multitasking smooth. The VibeZ is Dual SIM smartphone with 4G LTE, 3G network support. It has 13.0-megapixel Sony Exmor RS sensor primary camera with dual-LED flash and 5.0-megapixel secondary shooter. The handset is just 7.9mm thick and has metal body which makes it more robust. It Will compete ( competitors/ rivals. VS) with Samsung Galaxy S4, Note 3, LG G2 and Sony Xperia Ultra Z. The Lenovo-Z Vibe comes with a Flip cover which make it more premium and stylish, however the price of the handset is not announced yet. The phone will soon go on pre order / booking.